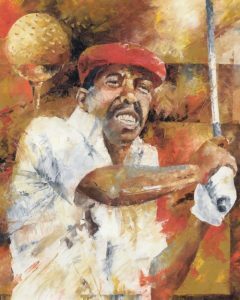 Calvin Peete, the first black golf player to play on the PGA Tour. Commissioned by Mr. Mike Latucca of California. Oil on canvas done with palette knives. 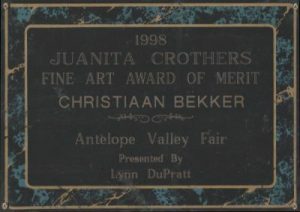 Therefore, to celebrate his achievements, Mike asked the artist to create this painting. He was most probably the best African American player on the PGA Tour.